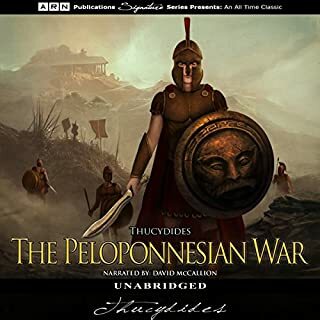 Compiled by Thucydides, an Athenian historian and general during the Peloponnesian War, The History of the Peloponnesian War (431-404 BC) is considered to be one of the first scholarly historical works ever written. The navy created by the people of Athens in ancient Greece was one of the finest fighting forces in the history of the world and the model for all other national navies to come. The Athenian navy built a civilization, empowered the world's first democracy, and led a band of ordinary citizens on a voyage of discovery that altered the course of history. Dozens of times per day, we all interact with intelligent machines that are constantly learning from the wealth of data now available to them. These machines are remaking the world of the 21st century in the same way that the Industrial Revolution remade the world of the 19th century. AIQ is based on a simple premise: If you want to understand the modern world, then you have to know a little bit of the mathematical language spoken by intelligent machines. AIQ will teach listeners that language - but in an unconventional way, anchored in stories rather than mathematics. Ancient Greece first coined the concept of democracy, yet almost every major ancient Greek thinker - from Plato and Aristotle onward - was ambivalent toward or even hostile to democracy in any form. The explanation for this is quite simple: The elite perceived majority power as tantamount to a dictatorship of the proletariat. In ancient Greece, there can be traced not only the rudiments of modern democratic society but the entire Western tradition of antidemocratic thought. 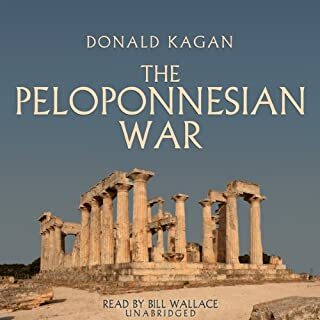 Donald Kagan—Yale’s Sterling Professor of Classics and History—delivers a compelling new look at revisionism in Thucydides’ classic History of the Peloponnesian War. To determine how accurate and dispassionate the Athenian general really was, Kagan exposes his epic to an enlightening and thorough analysis. Using contemporary and modern sources, Kagan reveals the exiled aristocrat’s biases, prejudices, and his clear intention to spin events in his own way. For one who has read the four volumes of D. Kagan on the ppw this book is an extract of themes very familiar...Still, it is a good book and one very competently read. 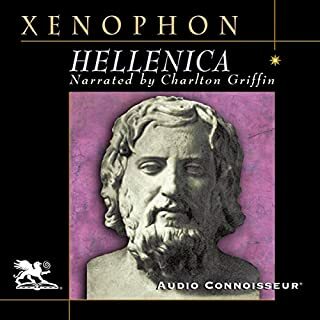 "I doubt seriously whether a man can think with full wisdom and with deep convictions regarding certain of the basic international issues today who has not at least reviewed in his mind the period of the Peloponnesian War and the Fall of Athens." "An, perhaps, my account will seem less pleasing to those who hear it because of its lack of fabulous tales, but if it be judged useful by those who seek an exact knowledge of the past as an aid to the interpretation of the future, which in the course of human things must resemble if it does not reflect it, I shall be satisfied." 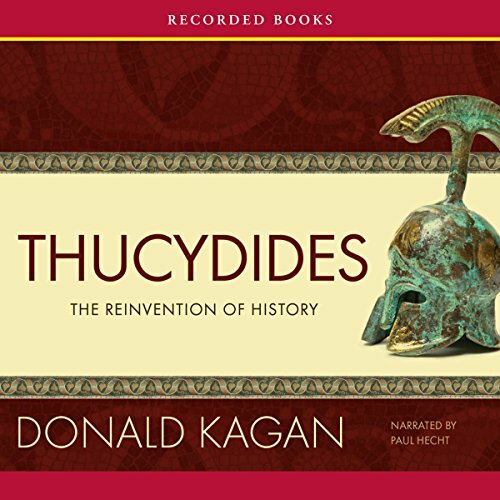 Donald Kagan, one of the preeminent Classical scholars of the last 50 years, who has spent most of his professional career writing and researching the Peloponnesian War has written a tight book exploring Thucydides as a historian, philosopher, and comparing the myth of the Man/Historian/Philosopher against the reality. 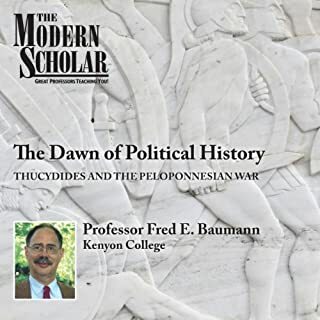 Kagan investigates Thucydides motives, revisions to history, and opinions. It is an interesting biography of a historian combined with a light textual analysis of his book. It is a historical love not, with just a dash of realism and hint of criticism. It is also, put in today's context, not a little bit ironic. 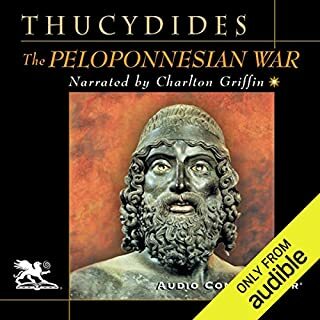 Each time I've read about the Peloponnesian War I finish the book or article thinking of how Thucydides was an early master of real politick. 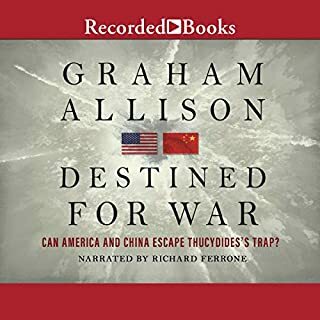 I think about how Athens invading Scicilly strangely parallels the US preemptively invading Iraq, waging war against the "enemies of democracy" and the "axis of evil". I was going to make some snarky comment about how hard it must be for Donald Kagan, this historian of the brilliant and pragmatic historian/philosopher/general Thucydides, to share a name with Robert Kagan one of the neocons responsible for providing intellectual cover for the last couple decades of American Imperialism. Imagine my surprise to discover that Donald is John's father. Gods. What a Greek Drama there. I just can't decide if having Robert Kagan be Donald Kagan's son is more of a comedy, satire, or tragedy. Some lessons just don't get shared with sons I guess. Well, perhaps they do, but only when they are carved into marble.